A two-story brick building faces two unpaved streets. F.W. Cady built this structure in 1914. 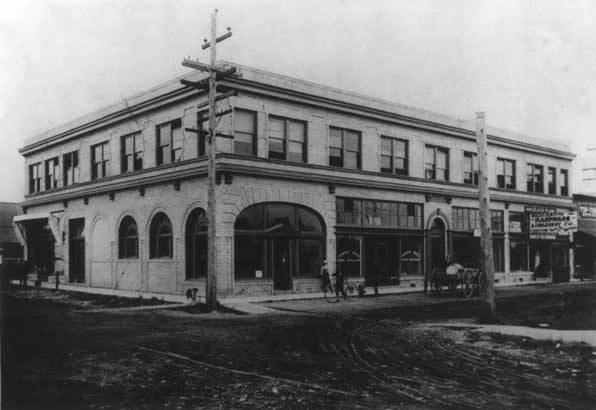 It has housed a variety of businesses, including library, mercantile, clothing stores, dental office, and many more. It is at the corner of SW Farmington Road and SW Watson Avenue. The view looks southwest.